WordPress is an excellent website platform! 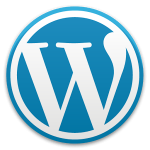 WordPress launched in 2003 as a simple (yet competent) Content Management System designed mainly for blogging purposes. To date, over 60 million people have chosen WordPress to power their presence on the web. Here’s a few reasons why. Creating articles or uploading images is simple enough that a novice should be able to get started without feeling intimidated.What’s great is that there is a lot of functionality at your fingertips allowing you to do more complicated things. But you can easily set those things aside and gradually learn more. There are thousands of great WordPress themes available, and many of them are completely free. But, if you purchase a premium theme the design or functionality gets real interesting and fun. The price can be as low as around $50.00 US. WordPress is really quite SEO-friendly, with features such as the ability to automatically generate search-friendly URLS. But, if you add a few plugins, such as the Google XML Site Map and the All-in-One SEO pack, you can force yourself to maintain good SEO habits, which gives your site a better chance of good search results. still looking at very little money to get a quality WordPress site up and running. The fact that many great plugins are free helps too. 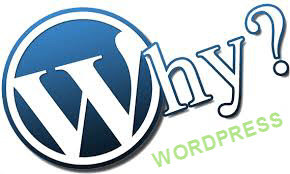 WordPress started out as a blogging platform and it is still the best blogging platform. Blogging is an important part of keeping your website successful. It adds new content and it continues to increase the number of pages your website has. And this helps Google see your website as relevant and current . If you don’t want to hassle with creating your website, but you want to be able to add content or make changes easily, WordPress is a great choice as well. And we can help you to get your website up and running, and then get you trained to level of expertise that you want. Contact us to see how we can work with you to get started.